Have a Heart Forum - Gather with organizations and community members committed to finding solutions to end homelessness. Connect and share what you and others are doing and learn about what we can do together. Listen to topic experts discuss solutions including: HOUSING FIRST / SAFE PARKING / SAFE STORAGE. Transform your community by collaborating and taking informed, evidence-based action. 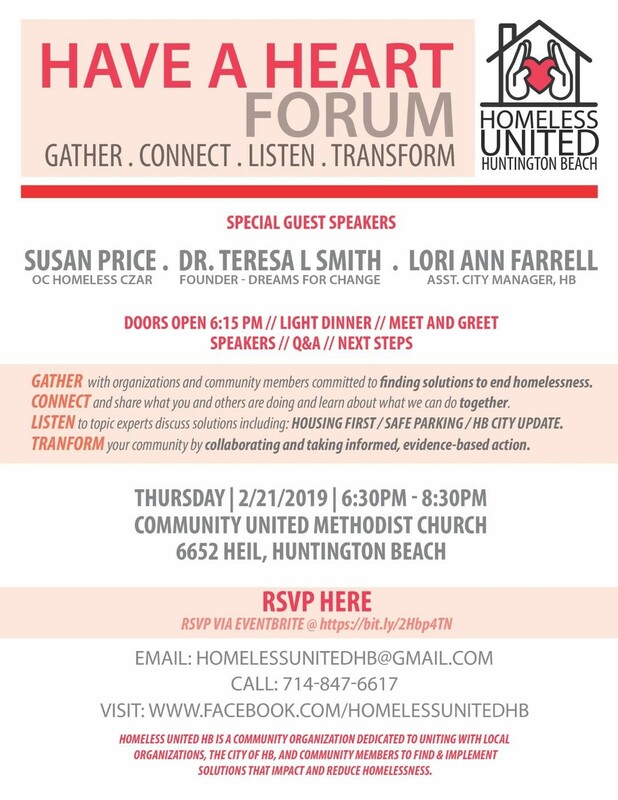 Homelessness United HB is a community organization dedicated to united with local organizations, the City of HB, and community members to find and implement solutions that impact and reduce homelessness.